Our Vacation Bible School registration is currently closed. If you would like to register your child for Vacaton Bible School, please contact Becky Peeler (bpeeler@wetendumc.org) or Julie Catterton (jcatterton@westendumc.org) directly. Thank you for your interest in our Vacation Bible School. We are still in need for Adult leadership for some of the children's groups in order to provide a safe and fun environment for all. Surf’s Up! Time For Surf Shack! Come on! Grab your board! Pack your shades! We are on a Mission forever to shine God’s light to others! While at the Surf Shack, children will have an opportunity to experience God’s amazing love; explore God’s mission for their lives; encounter powerful water stories from the Bible; discover ways to live out God’s amazing love. Registration begins April 17. You can register online or by returning a registration form with payment. All registrations and payment are due by May 25. Tuition/Supply Fee for VBS is $25 for the first child, $15 for each additional child in the family. Please make checks payable to West End United Methodist Church. Aftercare is available for families who need it. Aftercare will be 12 – 5 p.m., Monday – Thursday. The rate is $20 per day per child. We will have paid childcare workers to care for the children. Each child will need to bring a lunch each day. How will you serve during VBS Week and Children’s Mission Week? Adults, parents, and youth are invited to begin thinking how you will serve during our Vacation Bible School Week. Leaders are needed to help or assist in our Activity Centers: Bible story, Music, Snack, Science, and Crafts. Adults are also needed to assist with age groups of children ages 3 – grade 3. Can’t be there to work with children? Help on Saturday, June 19 to decorate the 4th floor and transform the building into a Beach Party. 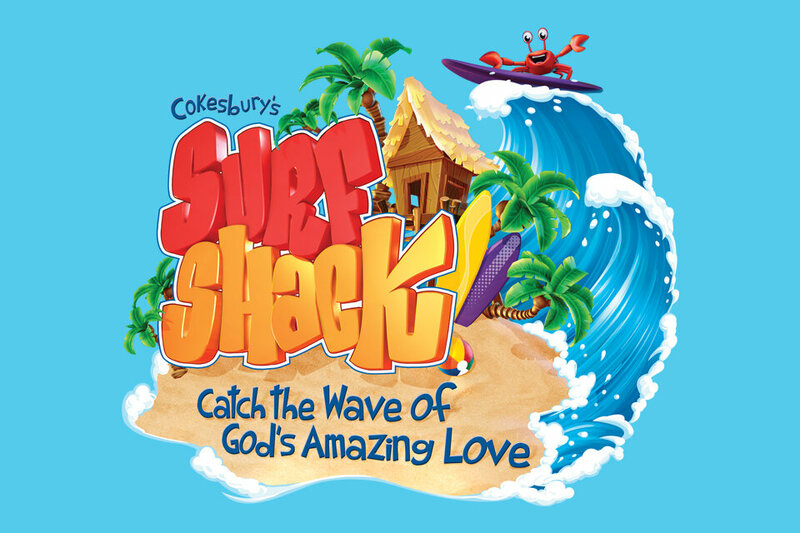 Go to the website, cokesburyvbs.com, and watch the preview video to find out more about Surf Shack VBS 2016! Children’s Mission Week will also need adults to help lead, guide, and chaperone the older elementary children in their mission/outreach projects. Do you have a heart for Mission and outreach? Help our children develop that same love and passion by offering leadership, June 20-24. Remember, there is a place for everyone to serve at VBS and Children’s Mission Week!